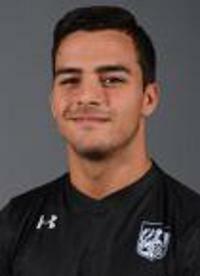 Brian Saramago is a Forward entering his Junior year at Loyola, where he is coached by Steve Nichols. This native of New Hyde Park, NY measures in at 5'10", 160 lbs. In 2017, he played in 14 games with 12 starts, totaling 805 minutes. During this season, he had 8 goals and 3 assists for a total of 19 points. In 2016, he played in 18 games with 17 starts, totaling 1351 minutes. During this season, he had 10 goals and 3 assists for a total of 23 points. Brian is a New York Red Bulls Homegrown Player.